Ruth and Earl Nunemaker celebrated the arrival of Richard Nunemaker and his twin sister Anne November 30, 1942, at Millard Fillmore Hospital, Buffalo, New York. Piano lessons for both twins began at age six. 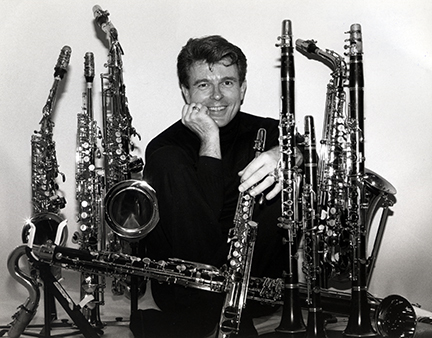 At age twelve, Richard’s first clarinet and saxophone lessons with his father Earl began and his career as a clarinetist and saxophonist was launched. 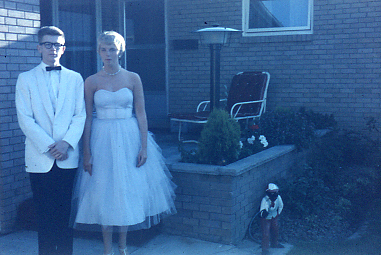 During Richard’s high school years he joined and later managed one of Buffalo’s premiere high school dance bands, “The Dreamers”. 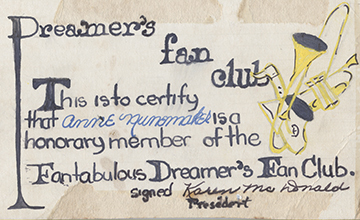 During the four-year period of 1957-1960, “The Dreamers” kept a busy schedule playing for area school dances, wedding parties and jazz clubs. 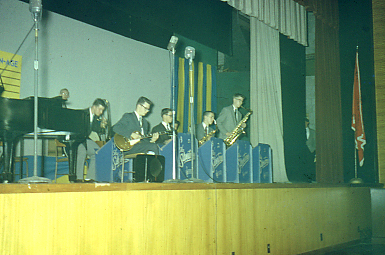 He also played in and wrote arrangements for his high school Dixieland band. 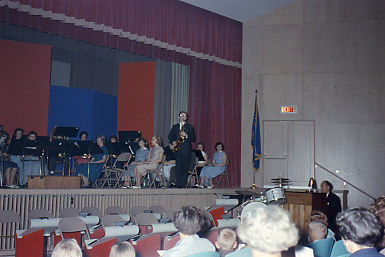 Richard’s solo career began in high school performing as soloist with his school band and orchestra. Twin sister Anne studied art and interior decorating and went on to build a successful career as a businesswoman in photo processing. Brother David born in 1945 was a gifted artist/painter. David was also a set designer for and acted in many off-Broadway productions in New York City. He also helped to compose and performed many of the sound tracks for these productions. 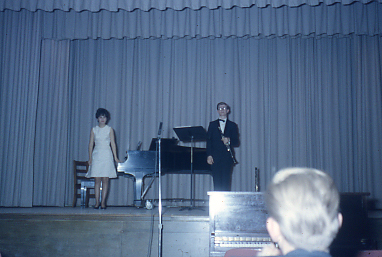 After graduation from high school, Richard attended the State University of New York College at Fredonia from 1960-1964 and was awarded a Bachelor of Science Degree in Music Education as well as a Performers Certificate in Clarinet. While attending Fredonia he was a member of the award winning Fredonia College Stage Band and bass clarinetist with the Erie Pennsylvania Philharmonic Orchestra. During the summer months from 1960-1965 Richard played for touring New York road show productions of: The Sound of Music, The Music Man, My Fair Lady, Oklahoma, Once Upon a Mattress, West Side Story, Most Happy Fella, Brigadoon, South Pacific, Gypsy, Peter Pan and Annie Get Your Gun. Some of the headliners for these productions were: Barbara Eden, Jeoffry Cambridge, Mary Martin, Ethel Merman, Anne Miller, Gordon and Sheila Macrae, Robert Goulet, Van Johnson and Robert Preston. Other entertainers he worked with during this time were: Nat King Cole, Steve Lawrence and Edie Gorme, Mel Torme, Johnny Mathis, Milton Berle, Danny Thomas, Victor Borge and Debbie Reynolds. 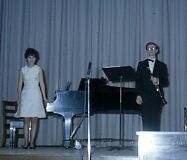 Richard went on to graduate school at the University of Louisville and was awarded a Master of Music degree in clarinet. While attending the University of Louisville, he was a member of the Louisville Orchestra and as such participated in recording 12 LP records. 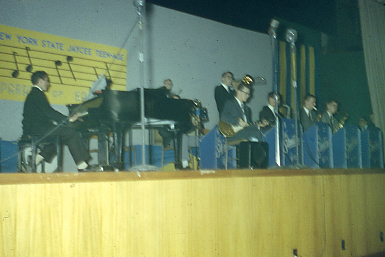 This was part of their award winning First Edition series of 20th century music. 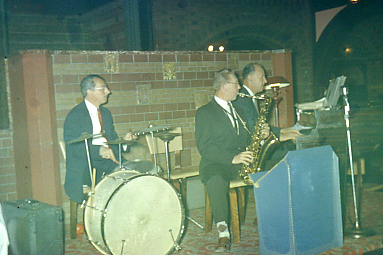 From 1966-1967 Richard was assistant band director for the Hobart, Indiana Junior High School and High School bands. During that time he also studied with members of the Chicago Symphony Orchestra and was a member of the Chicago Civic Orchestra, which is the training orchestra for the Chicago Symphony Orchestra. 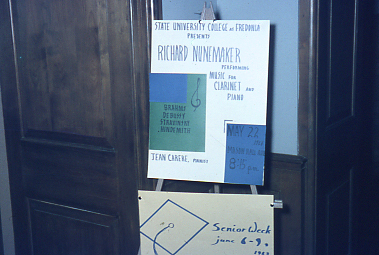 During the summer of 1966 Richard was artist in residence with the Sewanee Summer Music Center in Sewanee, Tennessee. 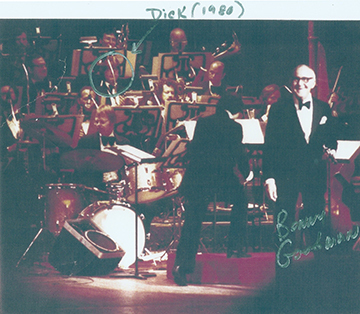 In 1967 Andre Previn and the Houston Symphony Orchestra hired Richard as clarinetist, bass clarinetist, and saxophonist. As a saxophone and clarinet soloist with the Houston Symphony Nunemaker has given the Houston Symphony premieres of the Ingolf Dahl Concerto for Saxophone and Wind Orchestra, the Pierre Max Dubois Concerto for Saxophone and Strings, the Alexander Glazunov Saxophone Concerto and the Heiter Villa-Lobos Fantasia for Soprano Saxophone and Orchestra and the Jacques Ibert, Concertino da Camera for Alto Saxophone and Orchestra. Conductors with whom Richard shared the podium are: Lawrence Foster, Jorge Mester, Sergiu Comissiona, William Harwood, Toshiyuki Shimada, Stephen Stein, David Allen Miller, Thomas Wilkins and Mariusz Smolij. During the summer months of 1987 Richard served as principal clarinet with the Orquesta Filarmonica de la Ciudad de Mexico. Following the 1993 release of his solo CD, Golden Petals (MMC 2005), Richard toured Austria (as soloist) with bassist Peter Herbert and the Camerata Bregenz. He appeared as featured soloist in the Grosser Musikvereins Saal, Vienna, Austria and in a live radio broadcast for ORF-Publikumsstudio, Salzburg, Austria. That same year he was featured in the New and Improvised Music Concert with composer William Thomas McKinley at Carnegie Hall. Richard has been on the faculty or has been a member of the teaching staff at Houston Baptist University, Wharton Texas Junior College, San Jacinto Texas Junior College, The University of Houston, Rice University and from 1970-1992 as assistant band director and instructor of clarinet and saxophone with the University of St. Thomas, Houston, Texas. Richard has also been a member of and performed with The Houston Pops Orchestra, Cambiata Soloists, Music American Chamber Ensemble and Opus 90, New Directions in American Chamber Music. In addition, he is past president and music director of the Houston Composers Alliance (HCA). HCA presents and commissions new works for several annual concerts in the Houston area. Richard is an artist in residence and master teacher for The Las Vegas Music Festival. Richard is a founding member of Airmail Special, a quartet of Houston musicians that performed original material for student and family concerts in the Houston area. 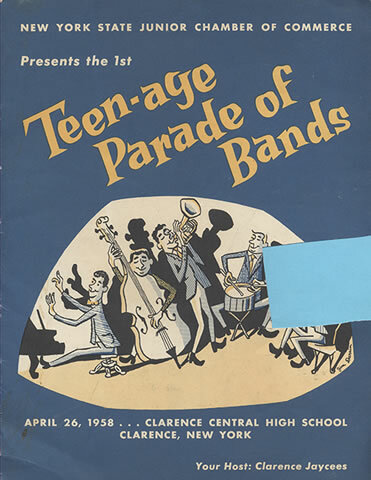 During its 16-year existence, Airmail Special presented 350 live performances in the Greater Houston area schools for approximately 70,000 children. 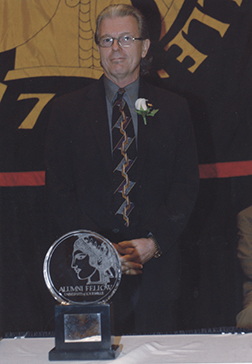 In 2002 Richard was honored as an outstanding alumnus from the University of Louisville and presented with the permanent title of Alumni Fellow. Richard has commissioned over 20 composers for more than 50 original works or arrangements. As a recording artist and record producer he has recorded five CD recordings featuring many of these commissions. These recordings are: The Louisville Project, Arizona University Recordings, LLC, AUR 3127, Between Silence and Darkness, Arizona University Recordings, LLC, AUR CS3119, Magical Place of My Dreams, Arizona University Recordings, LLC, AUR CD 3118, Multiplicities, Red Mark CD 9213 and Golden Petals, MMC 2005. Richard has also recorded as soloist with the Houston Symphony and conductor Newton Wayland tributes to Benny Goodman (America Swings, Pro Arte Records CDP 4351) and Artie Shaw (Stompin’At the Savoy, Pro Arte Records CDP 420). Other recordings he has participated in are: From The Great Land with Suzanne Summerville, Mezzo Soprano, Arts Venture, University of Alaska, featuring the music and poetry of Alaska and Logo I, New World Records 80382-2 featuring the Continuum Percussion Quartet and Eugene Kurtz’s Logo I for clarinet, percussion quartet and piano. Richard has published, Scales and Chords (A New Approach for all Instrumentalists), “If The Shoe Fits” a collection of drawings by Richard Nunemaker depicting life in a symphony orchestra and The Effortless Clarinet, Richard Nunemaker’s Clarinet Principles. Soon to be published is The Effortless Saxophone, Richard Nunemaker’s Saxophone Principles. Richard’s teachers were: Earl Nunemaker, Marvin Kam, Allen Sigel, William Willet, Clark Brody, Jerome Stowell and James Livingston.